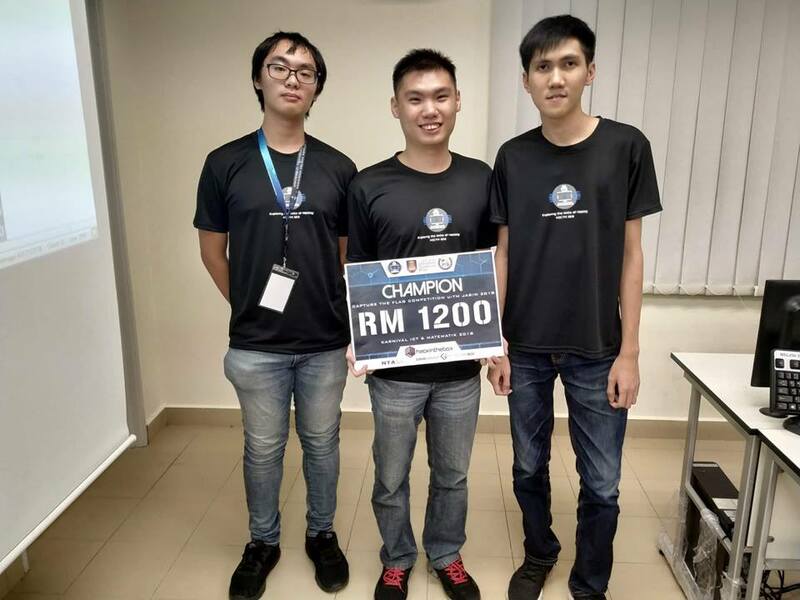 A team of three Computer Science students from UTAR Faculty of Information and Communication Technology (FICT) managed to uphold their proud tradition of competitive excellence by securing first place in the UiTM Capture The Flag Competition. Parked under the ICT and Mathematics Carnival (KICTM) 2018, the competition was held on 28 September 2018 at the Universiti Teknologi MARA (UiTM) Kampus Jasin in Melaka. The team comprised Lim Yun Kai, Lai Wing Khang and Chow Jenn Pang won the prize under the Student Category and walked away with a cash prize worth RM1,200. 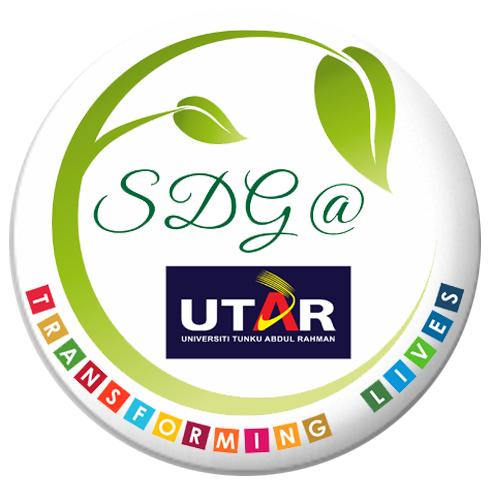 The students were mentored by UTAR FICT lecturers Dr P. Vasaki and Dr Aun Yichiet. Organised by UiTM, KICTM is an annual event aimed at providing a platform for ICT undergraduates and professionals to improve their knowledge in basic networking, programming and computer security. It also aimed at cultivating local talents and encouraging more undergraduates to venture into the field of IT security. Last but not least, Chow explained, “The competition was really an eye-opening platform for me. I learnt various hacking techniques and it also enabled me to expose myself to a different field that I have never learnt in school. Participating in this competition equipped me with more knowledge especially on cybersecurity and definitely enhanced my hacking skills. I personally would like to encourage more FICT students to participate in such competitions in order to put your theoretical knowledge into practice.” He also thanked Dr Vasaki for giving him the opportunity to participate in the competition. The competition was a good platform for Malaysian undergraduates to hone their skills and test their strengths and weaknesses as well as to raise their interest in the field of IT security. The competition was opened to full-time IT undergraduate students enrolled in all Malaysian public and private universities as well as ICT professionals.